I walked almost every day for four years, but then, as it sometimes does, life got in the way and I woke up on New Year’s Day to realize that I hadn’t walked in about three months. I decided my New Year’s resolution was to start walking again, so I laced up my favorite pair of tennis shoes, and went at it. I didn’t notice too much pain that day, but was astounded the next day when I could hardly walk for the pain in my feet. A quick internet search revealed that there are several common foot problems that can arise even during every day activities such as walking. Here are three of the most common. 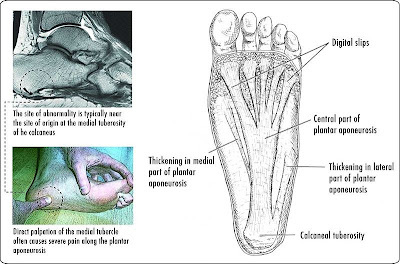 Plantar fasciitis is swelling of the plantar fascia. (I’m sure you found that definition extremely helpful!) 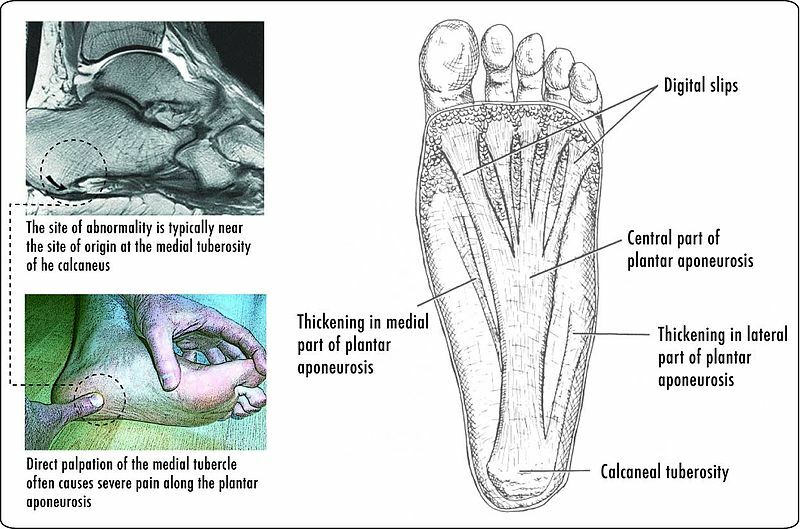 That statement makes much more sense once you know that the plantar fascia is made up of all of the connective tissue on the bottom of your foot, both ligaments and tendons, stretching from the base of your ankle to your toes. While the condition can appear at different times to different people, depending on their activity level and weight, plantar fasciitis occurs most often when the foot has been bearing weight for a long period of time. Your Achilles tendon is the tendon that stretches from your heel into the calf. 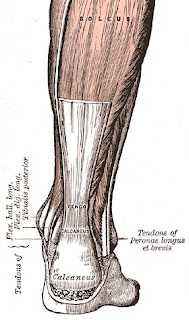 Its name stems from an ancient Greek myth about a warrior, named Achilles, whose only vulnerable spot was this tendon. It is most often caused by overuse of the leg involved. One interesting footnote to this condition is it also can occur as a side effect of taking the antibiotic Levaquin. While the incidence of Levaquin-relative tendinitis is fairly rare, it is documented. Levaquin is one of the antibiotics of choice for respiratory conditions such as bronchitis or pneumonia. Even the words “shin splints” are enough to make most people wince. 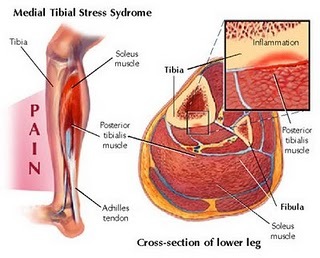 Shin splints are also called “medial tibia distress syndrome,” in part because it is the connective tissue along the tibia, a leg bone, which get inflamed and damaged to cause shin splints. Shin splints occur because a person places too much force on their shins. If you haven’t done any running for a few months and then one day you start running again by running eight miles, you probably have subjected your tibias to too much force; the muscles haven’t had a chance to redevelop in ways that would support that level of activities. What do these three maladies have in common? The best cure is in preventing them to begin with. If you are an active person or about to get active, consult with a fitness trainer to start a comprehensive stretching program that will help stretch your muscles and connective tissues in ways that will strengthen them and lessen the chance of injury. Regardless of your level of fitness, the second thing you can do is buy shoes designed to help prevent these and other common foot/knee injuries. One of the best manufacturers for such shoes is a company called Vionic not only because of the quality of shoe that they make but also because they have not restricted the shoes they manufacture to athletic shoes only. As you can see at http://www.soleprovisions.com, Orthaheels come in many different shapes and styles, ranging from sandals to walking shoes to casual shoes to office shoes. Try them – your feet will thank you. The race has gone on since 1985 under several different names including The Winston, Winston Select and NASCAR NEXTEL All-Star Challenge. Your response to an event determines whether, or not, you experience fear. 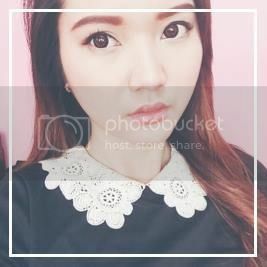 title to possibly grab folk's attention? I mean "Feet First: Some Common Foot Problems" is a little boring. You might add a video or a picture or two to get readers interested about what you've got to say. The force that your foot is touching the lower with whereas running?